Right. Before we go any further, please follow along as we have a collective rant about ‘people familiar with the matter’ and other such madness. The genesis for this rant comes courtesy of everyone’s favorite Apple PR firm we like to call the Wall Street Journal. 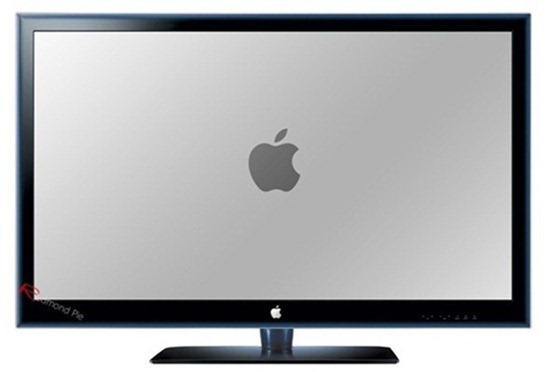 In a rather vague piece on the newspaper’s website yesterday, we learned that Apple is working on a new television (which is famously known as the iTV by the interwebs), using fancy wireless technology. That’ll be WiFi, then. Now yes, we all but know that Apple is at least looking into the possibility of entering the television market – the late Steve Jobs all but confirmed it in his biography – but really, who are all these people that seem to be familiar with so many things. We may be alone here, but we would give the whole thing more weight it the WSJ just said that they had been speaking to someone who knew exactly what was going on but wanted to remain nameless for fear of their jobs disappearing. Or them finding themselves tied to a tree on a desert island. Or something like that. Either the WSJ is talking to Apple itself, or is making this stuff up as it goes along. To be honest, we don’t really care. What we do know for sure though is that the WSJ has managed to publish 1200 words telling us absolutely nothing new. Apple working on new stuff that we all want, and have been talking about for years. Shocker! In other news, the sky is still blue and the oceans are still wet. According to my people familiar with the matter, of course. Apple is working on bringing iTunes and its already released Apple TV to a television set with the aim of selling lots of things that will make lots of money. Didn’t quite take 1200 words, did it?